Dillon started the race up in the fifth position for his best starting position since Fontana in March. 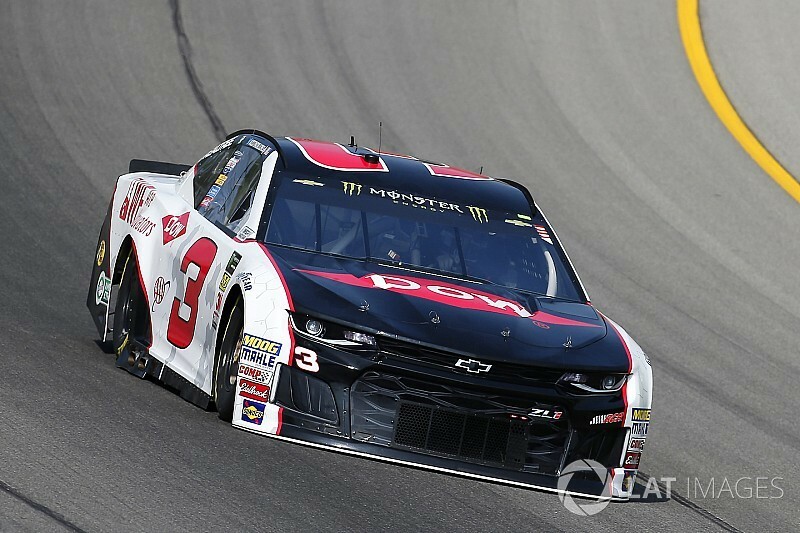 However, it was his Richard Childress Racing teammate Ryan Newman that shined in early laps, rising as high as third in the running order. But Dillon was never too far away, but he didn’t creep back towards the front until the last half of the race. At the conclusion of the second stage, he was running fifth and only moved forward from there. Following the eighth caution of the race for an incident involving his brother Ty, the elder Dillon rocked up to second position on a Lap 144 restart. Dillon led five laps between Lap 171 and Lap 175 as he stretched the run beyond that of other top-five runners. When he ultimately did pit, the team opted for two tires. The decision briefly put him in front of Kevin Harvick for the effective race lead, but that was short-lived. Still, Dillon held strong in the runner-up position until the waning moments of the race when a tire issue caused him to slow on track. Despite the misfortune, Dillon still came away with his best result since winning the Daytona 500, finishing fourth for RCR. With the playoffs nearing, Dillon understood the importance of putting together a strong performance as the regular season comes to a close. His teammate Newman also came away with a decent result, rebounding from a spin to finish 15th and lead 12 laps himself.